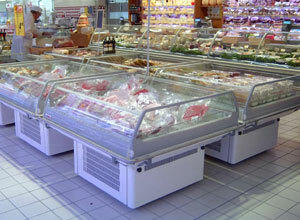 Spider fridge suitable for the display and sale of dairy products, delicatessen products, meats, fruit & vegetables, with M1 class performance. 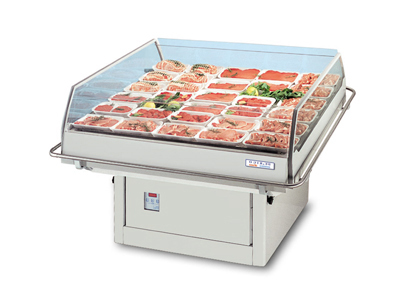 Perfect for special offers in supermarket and butcher shops. The Zanzibar features a built-in sealed condenser unit, ventilated refrigeration, selfevaporating condensation recovery tray and undercarriage with swivel wheels as standard. Available in stainless steel or any RAL colour of choice and can be multiplexed together to create a larger counter.